Um..I was referring to the fact that there I am IN PARIS. For the first time. And what is the first thing I see? 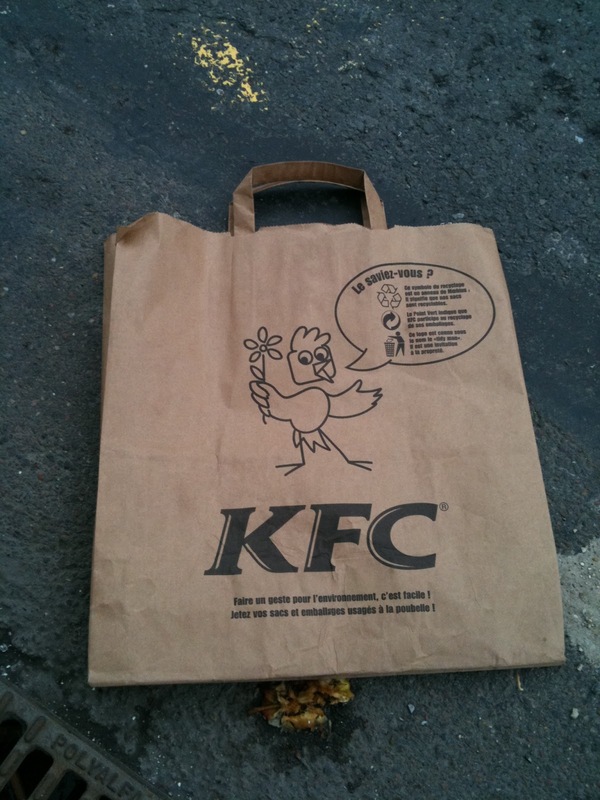 Trash (yes, Paris is dirty) from KFC. KFC? Couldn't it be a french fast food company? I thought it was funny. I know... I totally 'get it'. Thanks God for the slow-food movement and random groups of peeps around the U.S. and Europe committed to real natural foods. coco would not be proud.